It’s the board game capable of turning family members against each other, with the mere sight of that little silver top hat capable of stirring up buried Boxing Day feuds. Now, the iconic board game Monopoly is hitting the silver screen, inspiring a full-blown movie directed by Tim Story (Ride Along). 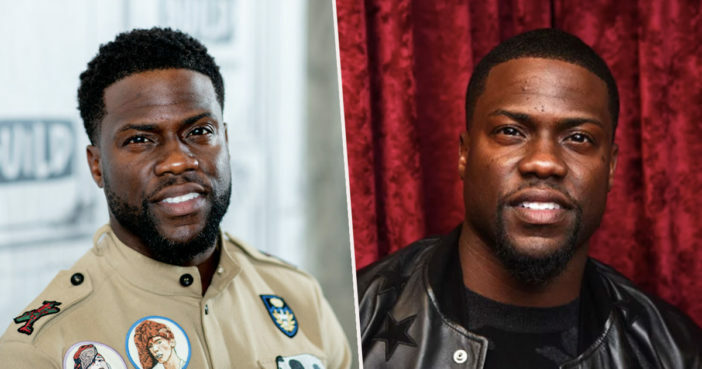 Deadline have now confirmed Kevin Hart will star in the live-action feature. The movie centers on a boy, from the game’s modest Baltic Avenue, on a quest to make a fortune. The as-of-yet untitled film is reported to be in final negotiations. Wow, a #Monopoly movie. You know, if this becomes a trend I'll definitely be on the lookout for Connect Four and Guess Who. Hart has recently stepped down from hosting the 91st Academy Awards ceremony after homophobic tweets he’d made in the past came to light. This was to destroy me. This was to end all partnerships, all brand relationships, all investment opportunities, studio relationships, my production company and the people that work underneath me. This was to damage the lives that have been invested in me. Because most people would say, ‘I’m walking away … ’ For you to be the bigger man, for you to say I understand …and to not pay attention. There are so many haters out there. DeGeneres revealed she’d gone as far as to contact the Academy of Motion Picture Arts and Sciences in a bid to reinstate Hart as the Oscars host. Hart has claims he’s previously apologised multiple times for making homophobic jokes, and has refused to apologise again. This is the first time I’ve done something in this space so I didn’t want to take the opportunity for granted. I wanted to make sure I was prepared and I understood this had to be very far from what you have seen me do in the past. For me it was also about making sure my portrayal was right of a man that was incarcerated who, when out of jail, was trying to get his life right but was always slapped in the face with reasons to take the wrong direction. But given the opportunity really took advantage of it but more importantly, took advantage of the free education it gave him. You always want to challenge yourself in the career you chose but you want to be smart and patient about how to do it. Will the Monopoly movie prove as iconic as fellow board game film Jumanji? The Upside is in US and UK cinemas January 11, 2019. There’ve not yet been any details about the Monopoly movie release date.